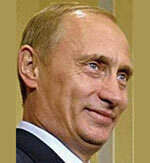 A list of famous Russian people throughout history to the present day. Ivan Vasilyevich ‘the Terrible’ (1530 – 1584) The first Tsar of Russia. 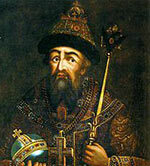 Ivan the Terrible expanded the size of Russia into the East, through military conquest. He was a patron of the arts and culture, but also prone to fits of madness and violence, with many nobles executed on his orders. Catherine the Great (1729 – 1796) – Empress of Russia (1762 – 1796). Catherine the Great presided over ‘Russia’s Golden Age’. 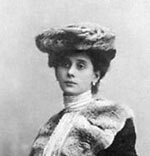 She played a role in the modernisation of Russia, including improving the welfare of the Russian serfs. She placed great emphasis on the arts and helped to cement Russia as one of the dominant countries in Europe. 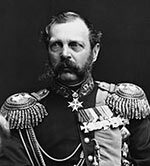 Alexander II (1818 – 1881) Emperor of Russia from 1855 until his death in 1881. He is credited with helping reform Russian society, including the emancipation of serfs in 1861, and reducing the power of the landed aristocracy. In foreign policy, he largely pursued a non-confrontational approach, creating greater stability in Europe; however, in response to the Polish uprising (1863), he incorporated Poland into the Russian Empire. 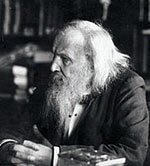 Leo Tolstoy (1828 – 1910) Russian writer and moral philosopher. Tolstoy’s famous works include the epic novels War and Peace and Anna Karenina. Tolstoy was born in a noble Russian family, but his experiences of serving in the army converted him to a form of Christian pacificism / anarchist-socialist. His writings on non-violent resistance were influential to others, such as Gandhi and Martin Luther King. Helena Blavatsky (1831 – 1891) Born in Dnipropetrovsk, Ukraine, Blavatsky was a mystic, medium, spiritualist and co-founder of the Theosophical movement. 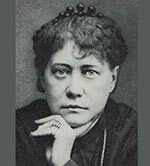 She helped develop the esoteric and spiritualist movement of the late 19th Century. Alexandr Borodin (1833 – 1887) Classical composer, doctor and chemist. 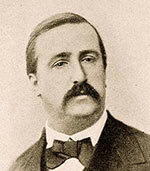 Borodin was a polymath, best known for his romantic symphonies, string quartets and the opera Prince Igor. 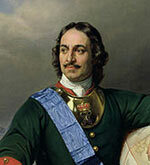 He was also an advocate of women’s rights, founding a school of medicine for women in St Petersburg. Pyotr Tchaikovsky (1840 – 1893) Russian composer. 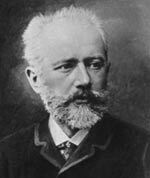 Tchaikovsky was the greatest composer of the Romantic period. Tchaikovsky also composed music celebrating Russian nationalism, such as the 1812 Overture. Also wrote ballet compositions such as – Swan Lake and Nutcracker. 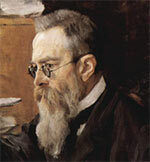 Nikolai Rimsky-Korsakov (1844 – 1908) Russian composer who infused a Russian tradition of folk music into the classical genre. He wrote five operas, symphonies and orchestral works. Famous works include Scheherazade, Capriccio Espagnol (including The Flight of the Bumble Bee). Tsar Nicholas II (1868 – 1918) The last Russian Emperor. 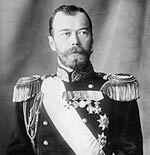 As head of state, Tsar Nicholas II approved Russia’s entry into the First World War. Russia lost over 3.3 million men – and disillusionment with the running of the war led to his overthrow in 1917 and Russia’s ultimate exit from the conflict. Grigori Rasputin (1869 – 1916) Mystical faith healer born a peasant in the village of Pokrovskoye, Siberia. 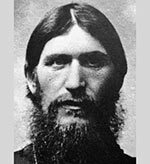 Rasputin became very influential in the Royal Tsarist family. His presence was a polarising influence, with many disliking Rasputin’s influence. He was killed in 1916 and credited with increasing the unpopularity of the Royal family. Sergei Rachmaninoff (1873 –1943) Composer. 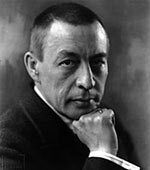 Rachmaninoff wrote five works for piano and orchestra. His most popular works included Concerto No. 2 in C minor, and Concerto No. 3 in D minor, Op. 30 (1909). Rachmaninoff was one of most daring composers, noted for his difficult pieces and extensive chords. 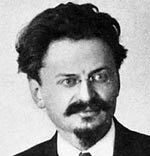 Leon Trotsky (1879-1940) Marxist revolutionary. Trotsky was a key figure in the Russian revolution and became the first leader of the Russian Red Army. After Stalin’s rise to power, Trotsky was a key opponent of Stalin’s bureaucracy. He was expelled from the party and deported from Russia. After opposing the policies of Stalin from abroad, he was assassinated in Mexico. 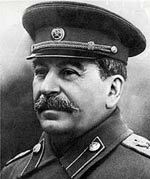 Joseph Stalin (1879 – 1953) Leader and dictator of the Soviet Union from 1924 – 1953. Stalin ruthlessly purged any opposition to his rule and created fear by having many in a position of power – arrested and executed. Stalin turned the Soviet Union into a one-party state where any dissent was ruthlessly denounced. His 1930s purges weakened the Russian army. But, in 1942, with the German army advancing towards Moscow, he led the defence of Russia. 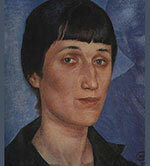 Anna Akhmatova (1889 – 1966) Modernist poet born Odessa, Ukraine. Akhmatova’s masterpiece was the short lyrical poems of – Requiem (1935–40) – a tragic description of Stalin’s terror. Despite official censorship and the execution of family members, she remained in the Soviet Union to be a witness to the totalitarian regime. 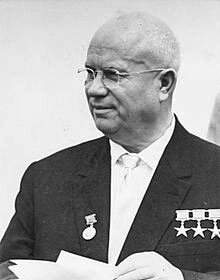 Nikita Khrushchev (1894 – 1971) Successor to Stalin, Khrushchev ended many of the worst excesses of Stalin’s oppressive policies. 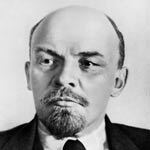 He led the Soviet Union from 1953 to 1964 during the tense years of the Cold War. He cut conventional forces but built up the number of nuclear missiles. He led the Soviet Union during the 1962 Cuban missile crisis – a stand-off between the US and Soviet Union, which nearly resulted in nuclear war. 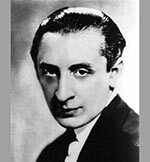 Vladimir Horowitz (1903 – 1989) Born in Kiev, Horowitz later moved to the US (1928). He is considered one of the greatest pianists of all time. 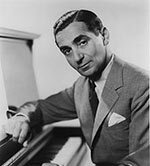 Horowitz excited audiences with his dramatic interpretations of piano masterpieces. He returned to play in the Soviet Union in 1986 after a long period of exile. 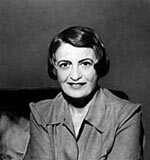 Ayn Rand (1905 – 1982) Born St Petersburg, Rand was a novelist and philosopher. She wrote the best selling novels – The Fountainhead (1943) and Atlas Shrugged (1957), which encompassed her philosophy of objectivism. Rand is influential amongst American conservatives and libertarians for her promotion of laissez-faire capitalism and support for individual rights against the state. 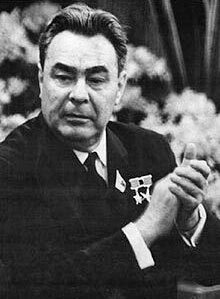 Leonid Brezhnev (1906-1982) Breshnev took over from Krushchev in 1964. He followed a policy of détente with the West – signing treaties to limit the proliferation of nuclear arms. He also ordered the invasion of Czechoslovakia in the Prague Spring of 1968. Brezhnev also ordered Soviet troops into Afghanistan in 1979, rekindling Cold War tensions. 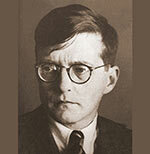 Dmitri Shostakovich (1906 – 1975) Russian composer who fused neo-classical and post-romantic styles. Famous works include Waltz, no.2, Symphony No. 15 and Piano Concerto No.2. Shostakovich was partly supported by the Soviet government, though he was uneasy with having to join the Communist party in 1960. Vasily Zaytsev (1915 – 1991) Russian sniper who fought during the desperate Battle of Stalingrad. Zaytsev killed 225 enemy soldiers during the battle. Aleksandr Solzhenitsyn (1918 – 2008) Author, historian and political critic. 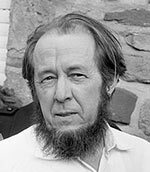 Solzhenitsyn was awarded the Nobel Prize for Literature in 1970 for his work in exposing the nature of Soviet totalitarianism. His book – The Gulag Archipelago (1965-67) recounted his and others’ experience in Soviet gulags. 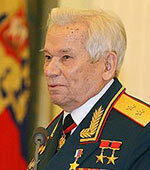 Mikhail Kalashnikov (1919 – 2013) Russian general and military inventor. Kalashnikov invented the Kalashnikov sub-machine gun, which came into production in the late 1940s. Due to its simplicity of design, it has become the world’s most prolifically produced weapon. Kalashnikov expressed regret at its wide proliferation. Boris Yeltsin (1931 – 2007) President of the Russian Federation. 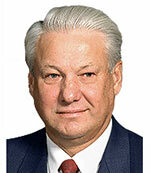 (1991 to 1999) Originally a supporter of Gorbachev’s perestroika, Yeltsin became president after Gorbachev’s resignation. Yeltsin pursued a rapid economic liberalisation, which resulted in creating many wealthy oligarchs and several economic crisis, which diminished his popularity. 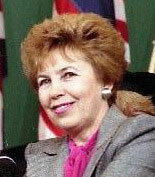 Raisa Gorbachev (1932 – 1999) – Wife of Mikhail Gorbachev, elevated role of First lady to Russian premier. Also engaged in humanitarian efforts in Russia. Vladimir Putin (1952 – ) Putin became Russian President in 2000, and has become the central figure of authority in Russia. Putin has moved Russia away from the democratic reforms of Gorbachev and closer to a one party state. Nelli Kim (1957 – ) Soviet Union, gymnast. Kim is one of the best all round gymnasts. She won five Olympic golds in 1976 and 1980. Also five times world champion. Garry Kasparov (1963 – ) Greatest chess player of all time. 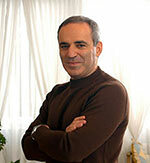 Kasparov became world chess champion in 1985, aged 22, a title he held until 2000. From 1986, he was ranked world no. 1 for 225 out of 228 months. Since retirement in 2005, he has become a political activist, opposing President Putin. Citation: Pettinger, Tejvan “Famous Russians”, Oxford, www.biographyonline.net – 10th March, 2015.